Galoshes for women have never been more affordable, stylish, colorful or accessible than they are today. Some people refer to galoshes as traditional over-shoes, this is true and correct. 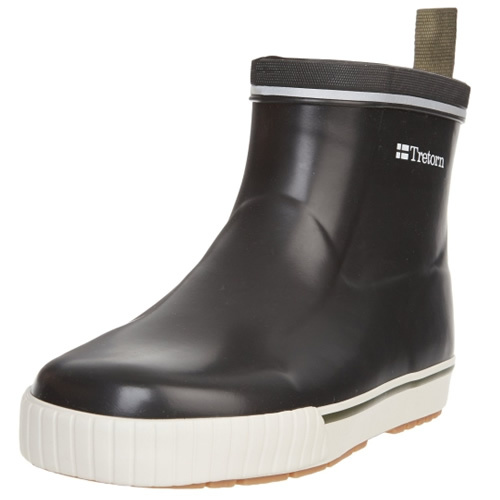 However, in many other circles including this site, galoshes ‘as a term’, covers today’s modern, colorful rain boots. The market has truly become flush with new styles, and GFW is here to help guide you through the maze of both design and function. So, where to begin? Price points for popular and familiar brands of rain boots like Chooka galoshes start around $30, but there are also many designer galoshes costing over $100. Height is a variable as well. 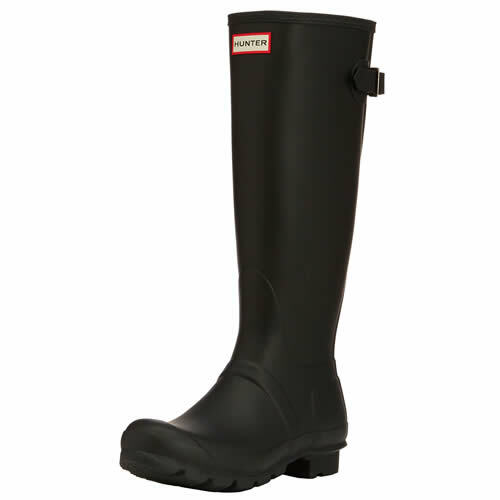 Ladies rubber boots can run from ankle high (Tretorn has an ankle galoshe for around $60) to over the knee, though the most common is the familiar knee-high. Calf comfort is imperative when wearing most any boot for women, so it’s nice to find that rain boot that speaks to larger muscular calves. 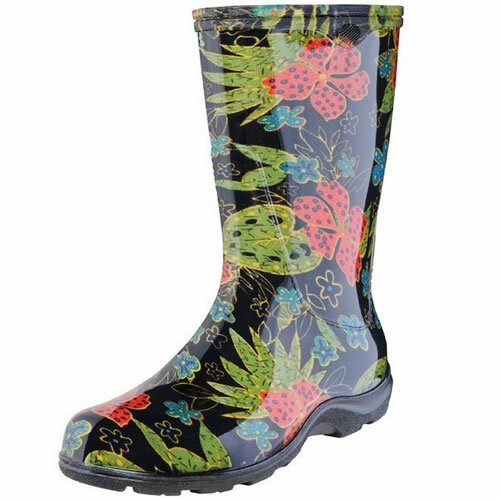 One of the more popular, comfortable and colorful rain boots today that addresses the larger calf is the Sloggers Garden Rain Boot. In fact, there are a number of widths with today’s galoshe varieties. Narrow shafts run about 15″ or less. Medium shafts on average are from about 15 to 15.5 inches, and large shaft galoshes are generally considered over 15.5 inches. There are plenty of sizes to choose from! Buckles, Laces and Fur, on Rain Boots? 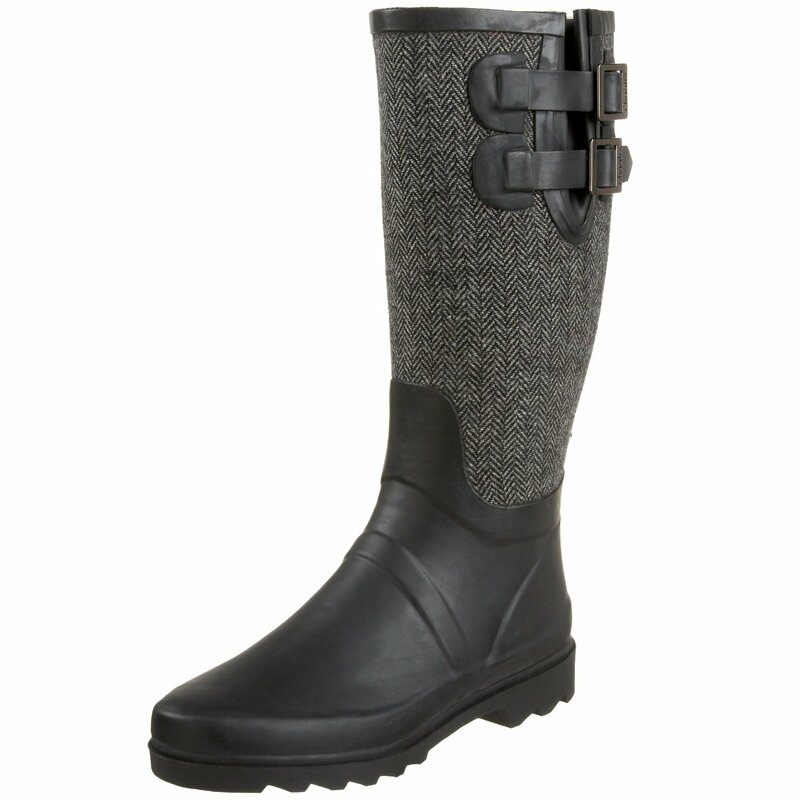 That’s right, fur has been spotted on at least one design on today’s galoshes for women! However, a far more popular accessory has been the addition of buckles on colors from pink to purple. 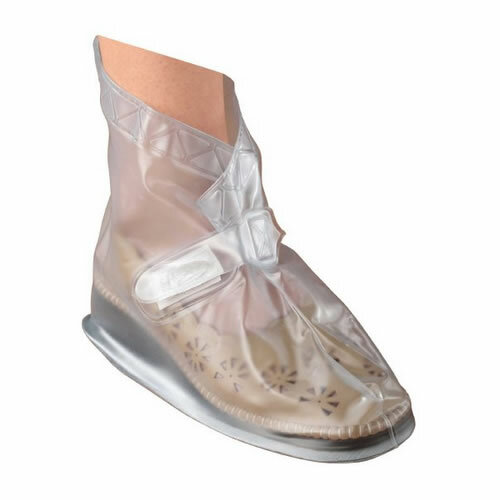 Looking for a sophisticated add on to your water proof boot? Try laces. A rubber upper protects your foot against puddles, while the rubber sole with a deep tread ensures sure footing on rainy-day streets. Laces at the cuff add a jaunty touch as well as secure fit, so you’re high and dry when you reach your destination. No one likes to stand outside with wet feet on a cold, wet day. 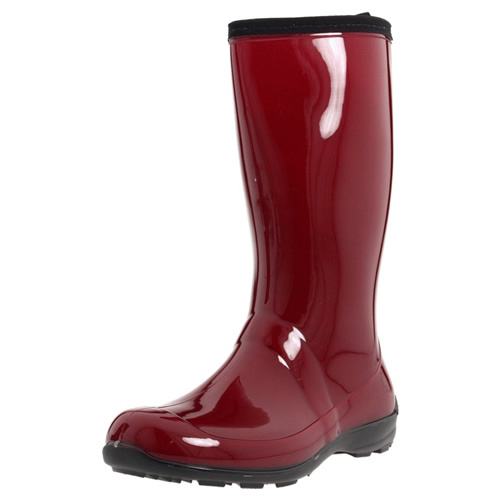 Even when looking for inexpensive galoshes for women, you should check out the reviews if you see a design or color that fits your style. Reviews on retail sites can be brutally honest. Unhappy rain boot buyer will generally be most inclined to tell you that is wrong with a pair after they’ve pulled them out of the box at home, and the price tag is generally not the only indicator for quality! That being said, take positive AND negative reviews with a ‘grain of salt’. We all have an opinion, but no ONE opinion is the end-all-be-all. However, if you see a trend of negative reviews…for instance, issues with a style not fitting large calves, beware if you have large calves 🙂 There are more than enough galoshes for women out there to get hung up on one brand or style no matter how great they look online. Look for thick, durable rubber and just enough room in the cuff to invite pant legs (who wants wet legs?) as well. Thick socks might do the trick with extra wide boots….a nine might fit the same way a 9 1/2 does, so if you can handle the extra width, be happy with the flexibility.